With festive season round the corner we look for some brilliant gifting options so that we can give some special gifts to our near and dear ones . Since now a days people like to use herbal products , its an excellent idea to gift a basket of herbal skin care products to our near and dear ones . With so many options available in market we some times get confused to choose the right one , here i would like to mention one brand which sells herbal and natural skin care products , its TBC By Nature . Its a brand from Proveda Herbal( an ISO 9001-2008 certified company ) , it has wide range of products in skin care , hair care , skin treatment , baby care .They provide premium range of products with attractive packaging and affordable price . 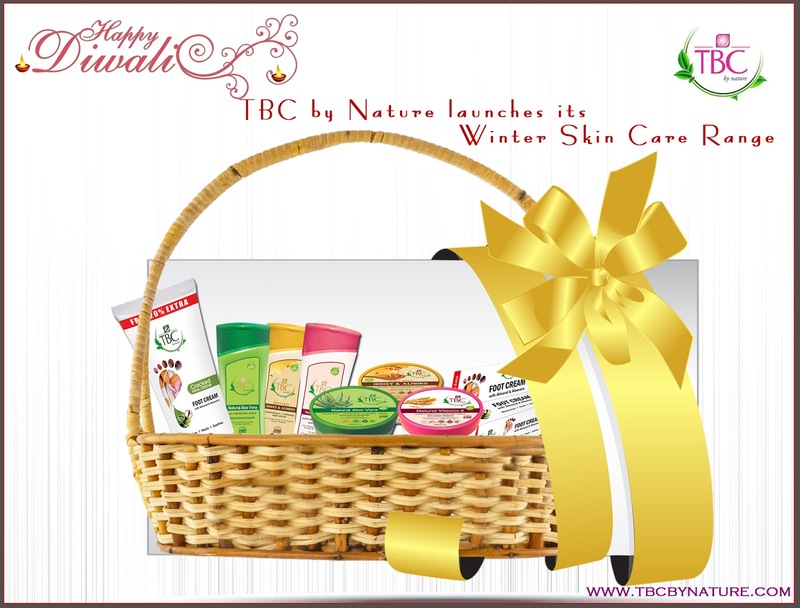 TBC By Nature is a brand which prepares its products from natural and herbal ingredients. For this festive season they have brought some excellent gift hampers which contains various skin care products . Like 24 carat Gold Honey& Almond smoothening and whitening face and body nourishing cream , Aloe Vera and coco butter Aloe Vera cream , Natural Vitamin E Super Hydrating and Deep Moisturizing Face and Body cream , Natural Aloe Vera All Purpose Cream ,TBC Cracked Heel Foot Cream etc. All the products are made from natural ingredients like almond oil , cocoa butter , Aloe Vera gel and other herbal extracts and they do not use any harsh chemicals or Parabens in their products . TBC By Nature believes in serving best to people . This Lovely Gift Hamper is worth Rs 1500 only . It contains Winter Skin Care products .